iDancehallReggae.com::Caribbean Lifestyle Media::: BUZZ: BOOM STEPPA "Naaw Stay Poor"
BUZZ: BOOM STEPPA "Naaw Stay Poor"
Caribbean Lifestyle Media-Fabian Wilson has been on our radar for some time-Boom Steppa as he is more popularly known came to our attention when he first recorded his first single "Ghetto Life" at veteran Sugar Minott's Black Roots Studio. 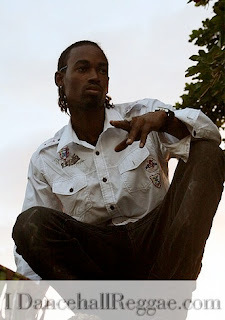 Steppa who has penned songs for other artistes, such as Mr. Lexx and is responsible for Bounty Killa's "Firm & Strong" and "Four Season", is now ready to make his musical mark on the Dancehall Reggae industry. Boom Steppa is ready for the mainstream with his new single "naaw stay poor". Steppa, told us,"The future is unpredictable you know but at the same time I'm gonna always work the hardest I can because I wanna take my music to an international level and the ground work is necessary so this is just me looking for the hits to make it happen but I'm not going to rush it I'm just going to do Boom Steppa".